There is increasing recognition of fisheries as integrated social-ecological systems, and the importance of understanding and addressing the “social” – or human dimensions – of these systems, as they affect and are affected by ecological systems and management. 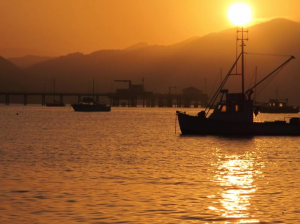 California’s Marine Life Management Act (MLMA, 1998) specifies socioeconomic as well as ecological goals and objectives for management of the state’s fisheries. The MLMA also emphasizes the cultural as well as the economic importance of sustainable fisheries and the broader social, economic and historical value of the state’s living marine resources. Sustainable fisheries management must consider not only a given species’ population size, reproduction rate, and other intrinsic characteristics but also its extrinsic relationships with other species, as well as human dimensions such as fishermen preferences, behavior, and fishing practices. This project will result in a report that provides 1) guidance on the socioeconomic questions and information needs that are most important for fishery managers to address, and 2) a framework for building that information and integrating it into management, specifically the MLMA Master Plan Amendment. This project will be advanced in coordination with UC Santa Cruz and California Sea Grant, and builds of phase 1 of the project which was funded by Resources Legacy Fund. The report will contain fishery management examples that highlight the need for diverse types of socioeconomic information to support management decision-making and guidance to meet this need for socioeconomic information. Ultimately, the report will provide recommendations for how to incorporate socioeconomic considerations into state fisheries management. California’s Marine Life Management Act (MLMA, 1998) specifies socioeconomic as well as ecological goals and objectives for management of the state’s fisheries (MLMA Section 7056(i-j). The MLMA requires that fisheries be managed using a proactive, coordinated, and holistic approach (Section 7056(l)). The MLMA also emphasizes the cultural and historical value of the state’s marine resources, in addition to their economic importance (Section 7055(a)).